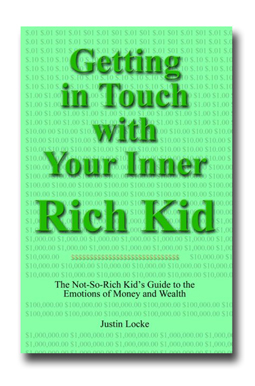 So I was rereading the classic success book “Think and Grow Rich” the other day. Specifically, the chapter on “autosuggestion.” I am a great believer in this approach, it’s very important to learn how to communicate with your subconscious mind and harness its enormous power. But as I was reading this chapter, I couldn’t help but think that something was terribly amiss. And then it hit me… this book was written at the height of the industrial age. It was based on interviews with people who were largely industrialists. Not to sound critical, but the book has a rather blatant lack of any artistic sensibility. This would make sense, as your average industrialist is not, as a general rule, terribly artistic. Your subconscious mind can’t read, and it can’t do math. So while the idea of writing down your goals and purposes is of course helpful, it is not the ideal approach. So here’s my suggestion, and it’s not really a new one: take an artistic approach to thinking and growing rich. For example, instead of just repeating a phrase with the given dollar amount goal in it, how about writing a song? You’ll notice that extremely powerful institutions such as governments and armies all have anthems. So why not have an anthem for your higher goals and purposes? I’ve been experimenting with this just over the last few days, and I have to tell you, the results have been extraordinary. And I haven’t even gotten to writing the really big “Halls of Montezuma” version. If you are the more visual type, then your meditations on goals and purpose could also take the form of a drawing. But whether it’s in the form of a simple song or a drawing, this approach is going to be much more effective in directly communicating with your subconscious mind. This entry was posted in Uncategorized and tagged abundance book, ervin seale, life improvement, napoleon hill, ready money, self help books, success books, think and grow rich, tony robbins. Bookmark the permalink. Well Ted I am honored to have you visit. I’ll check out your book! I am having a lot of interesting discussions lately with individuals who are all about transferring out of the industrial age. There are many little pockets of change, but they have yet to coalesce. I fear the old industrial monetization model turns us into little fiefdoms and competitors instead of a nation of teammates.